Oncology is facing a crisis of affordability that is not sustainable. The economic burden of cancer is growing, as a result of the rising cancer incidence and increased survival, alongside growing investment in disease prevention, diagnosis and treatment. The prices of new cancer drugs continue to increase, placing growing pressure on many healthcare systems. The aim of this article is to explore the reasons why the cost of cancer care is increasing, and why this increase may become unsustainable unless changes are made. There are only limited options for future health spending. Finding ways to improve the allocation of existing resources to achieve the best outcomes for patients will be key to achieving sustainability, whilst safeguarding the continued development of new, effective cancer treatments. Currently, too many cancer drugs are approved without robust evidence of value, and spending more on treatments does not necessarily translate to improvements in health. For all new drugs, in addition to efficacy and safety, there should be a focus on value, with measured outcomes and pricing that ensures these drugs are affordable. Fundamental changes to healthcare systems and industry are needed to sustain cancer care and allow continued access to effective and safe treatments for all patients. Nils Wilking, Gilberto Lopes, Klaus Meier, Steven Simoens and Wim van Harten have nothing to disclose in relation to this article. Arnold Vulto has nothing to disclose in relation to this article and no financial interest in any pharmaceutical company. His institution receives financial compensation for consulting/lecturing activities on behalf of AbbVie, Amgen, Biogen, Boehringer Ingelheim, EGA (Medicines for Europe), Mundipharma, Pfizer/Hospira, Roche and Novartis/Sandoz/Hexal. The publication of this article was supported by Sandoz International GmbH. The views and opinions expressed are those of the author and do not necessarily reflect those of Sandoz International GmbH. 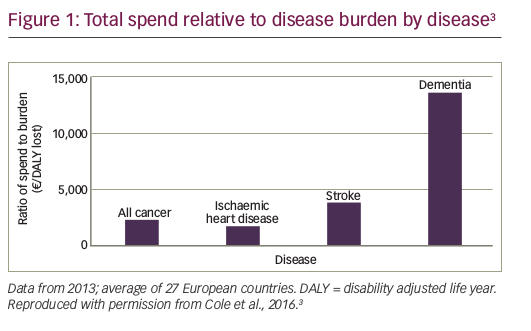 In 2013, cancer represented 17% of the total burden of disease in Europe (as measured in disability adjusted life years [DALYs]),3 and caused the equivalent of 25 million years of healthy life lost due to ill-health, disability and death.4 According to the latest GLOBOCAN data, the estimated cancer incidence in Europe in 2012 was 3.4 million cases,2,5 representing a 31% increase compared with 19952 and this trend is expected to continue. As a result of these growing economic pressures, healthcare decision-makers are struggling to manage their funds and, at the same time, provide optimal treatment for individual patients.12 All patients have a right to receive the best care possible and if healthcare expenditure is insufficient or not sustained, this may impact significantly on the quality of all aspects of care, leading to a poorer patient prognosis. 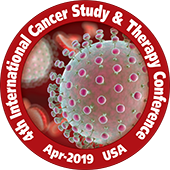 However, it should not be the sole responsibility of the payer, hospital pharmacist or physician to make economic decisions regarding cancer treatment; team collaboration is needed to perform a comprehensive assessment of the key factors and ensure that essential parameters are met. 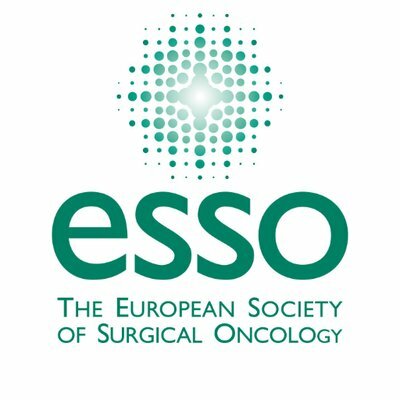 A team of experts in medical oncology, hospital pharmacy and health economics from across Europe have come together to collate the current evidence on the sustainability of cancer care and the possible consequences if we reach the ceiling (i.e., limit) of sustainability within Europe. This information is presented in a series of reviews, in a way that is easily understandable and relevant to the general oncologist. Why is the cost of cancer drugs so high? We may not be able to afford innovation in medical treatment in the future without new solutions.41 Nonetheless, there must remain a focus on developing new, effective medicines, given the magnitude of their potential benefit. 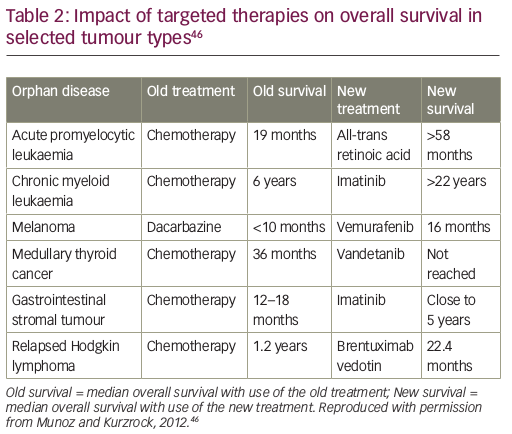 New, targeted precision therapies have had a substantial impact on overall survival in some, but not all, tumour types (e.g., cancers defined by carcinogen-induced genomic chaos, such as ultraviolet-induced melanoma or tobacco-induced lung cancer, which are driven by a multitude of competing molecular pathways).45 For example, in gastrointestinal stromal tumours, the tyrosine kinase inhibitor, imatinib, is associated with an overall survival of almost 5 years compared with just 12–18 months with chemotherapy (Table 2).46 However, with the introduction of these cancer treatments, prices and costs have risen sharply. This can present hurdles for access, meaning that patients in some countries are being denied the opportunity for the best treatment. Currently, too many cancer drugs are being approved for use without robust evidence of added value,50 and clearer Health Technology Assessment (HTA)-based guidance is needed. For example, in 2015, several drugs were approved to treat various malignancies, despite an unfavourable harm-benefit balance. These included drugs that inhibit angiogenesis and tumour growth, such as cabozantinib for the treatment of medullary thyroid cancer.51 There is currently no regulatory requirement to demonstrate a minimum or reasonable magnitude of benefit. Drugs are approved based on evidence of clinical benefit and safety, with no clear threshold for magnitude of benefit to justify their approval or cost. With a large enough sample size, a statistically significant increase in overall survival can be demonstrated, even if this correlates with an increased survival of only a few days or weeks. Drugs can also be approved based on surrogate endpoints, with no evidence that patients will benefit from improved QoL or survival. The absolute cost to society will become increasingly unaffordable if every drug with statistically significant, but clinically unimportant, benefit is approved and will be prescribed/reimbursed.30 For all new medicines, in addition to efficacy and safety, there should be a focus on value, with measured outcomes. The balance between cost and relative value of new cancer treatments has stimulated broader discussion regarding appropriate resource allocation in healthcare.61 To weigh up the demand for new treatments with the financial impact of their introduction, other value-based solutions are needed to ensure equitable access to treatment.54 Policy makers require guidance, combined with the development of systems and processes to optimise the entry of new medicines and ensure financial sustainability, whilst also continuing to encourage innovation and research into new treatments in areas of greatest clinical unmet need.1 Fundamental changes in healthcare systems and industry will be needed to sustain cancer care and allow continued, and conceivably expanded, access to effective and safe treatments for all patients. In addition, there is a need for evidence-based treatment guidelines that examine QoL and survival data and assess benefit in relation to cost, to provide the cost utility of cancer drugs, and help physicians and patients make better informed treatment decisions. 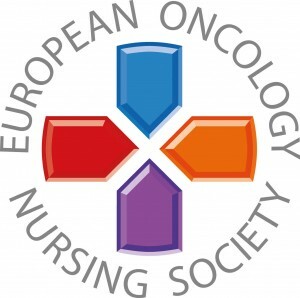 There must be a balance between physician autonomy in prescribing and costs incurred by society.30 A multidisciplinary approach to decision-making is also needed, involving hospital pharmacists and other team members, together with education to encourage healthcare providers to selectively accept new and/or costly cancer treatments. We believe that there is a crisis of affordability in oncology that is not sustainable, and is not being adequately addressed. The future economic burden of cancer is closely linked to rising cancer incidence and increased survival, alongside greater investment in disease prevention, diagnosis and treatment. Despite advances in our understanding of cancer biology, and the advent of new technology and faster drug development schemes, there has been no reduction in the rising cost of commercial drug development, and the price of new drugs continues to increase as pharmaceutical companies strive to achieve greater innovation with new treatments. There are only limited options for future health spending. The affordability of newly developed cancer medicines is not sustainable and new solutions to ensure rapid and equitable access to treatment must be found, whilst also safeguarding the continued development of new and effective treatments. Sustainable cancer care and continued, and conceivably expanded, access to effective and safe treatments for all patients will require fundamental changes in healthcare systems and industry. Public health systems will need to make well-informed choices in order to distribute limited resources in the most efficient way. Currently, too many cancer drugs are being approved for use without robust evidence of good value for scarce resources, and clearer HTA-based guidance is required. For new medicines, in addition to efficacy and safety, there should be a focus on value with measured outcomes (e.g., overall survival), with pricing that makes these drugs affordable for all. 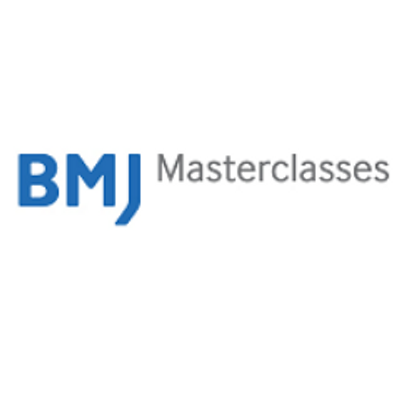 A shift is needed towards a multidisciplinary approach to decision-making, which includes hospital pharmacists and other team members, to ensure that from a societal perspective, the most appropriate treatment decisions are made. Education is also required to encourage healthcare providers to accept selectively new and/or costly cancer treatments. Spending more on cancer drugs does not necessarily translate to improvements in health, and higher costs of treatment should only be considered acceptable if improved patient outcomes can be demonstrated. A balance must also be found between healthcare affordability and profit, to provide the necessary incentives for pharmaceutical manufacturers to ensure continued innovation. We need both a sustainable healthcare system and a sustainable model for drug development. The model that can sustain cancer care can be considered a template for other areas of medicine. World Health Organization. 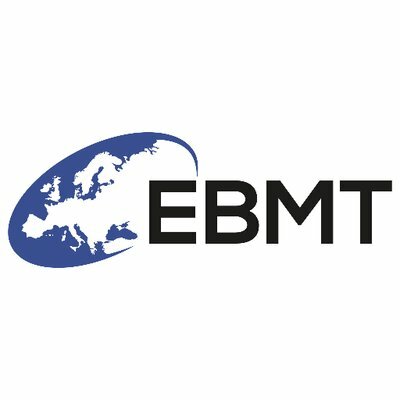 Access to new medicines in Europe: technical review of policy initiatives and opportunities for collaboration and research (2015). Available at: www.euro.who.int/en/health-topics/Health-systems/health-technologies-and-medicines/publications/2015/access-to-new-medicines-in-europe-technical-review-of-policy-initiatives-and-opportunities-for-collaboration-and-research-2015 (accessed 11 August 2017). 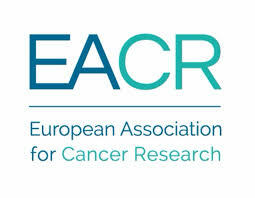 Jonsson B, Hofmarcher T, Lindgren P, Wilking N, Comparator report on patient access to cancer medicines in Europe revisited (2016). Available at: https://ihe.se/en/publicering/cancer-medicines-in-europe-2 (accessed 11 August 2017). Cole A, Lundqvist A, Lorgelly P, et al., Improving efficiency and resource allocation in future cancer care (2016). Available at: www.ohe.org/publications/improving-efficiency-and-resource-allocation-future-cancer-care (accessed 11 August 2017). GBD 2013 DALYs and HALE Collaborators, Murray CJL, Barber RM, et al., Global, regional, and national disability-adjusted life years (DALYs) for 306 diseases and injuries and healthy life expectancy (HALE) for 188 countries, 1990-2013: quantifying the epidemiological transition, Lancet, 2015;386:2145–91. Ferlay J, Steliarova-Foucher E, Lortet-Tieulent J, et al., Cancer incidence and mortality patterns in Europe: estimates for 40 countries in 2012, Eur J Cancer, 2013;49:1374–403. van Harten WH, Wind A, de Paoli P, et al., Actual costs of cancer drugs in 15 European countries, Lancet Oncol, 2016;17:18–20. Schrag D, The price tag on progress-chemotherapy for colorectal cancer, N Engl J Med, 2004;351:317–9. Bach PB, Limits on Medicare’s ability to control rising spending on cancer drugs, N Engl J Med, 2009;360:626–33. Lichtenberg FR, The expanding pharmaceutical arsenal in the war on cancer: NBER Working Paper No. 10328 (2004). Available at: www.nber.org/papers/w10328 (accessed 11 August 2017). Rajkumar SV, Harousseau JL, Next-generation multiple myeloma treatment: a pharmacoeconomic perspective, Blood, 2016;128:2757–64. Debiasi M, Reinert T, Kaliks R, et al., Estimation of premature deaths from lack of access to anti-HER2 therapy for advanced breast cancer in the Brazilian public health system, Journal of Global Oncology, 2017;3:201-7. Miller JD, Foley KA, Russell MW, Current challenges in health economic modeling of cancer therapies: a research inquiry, Am Health Drug Benefits, 2014;7:153–62. 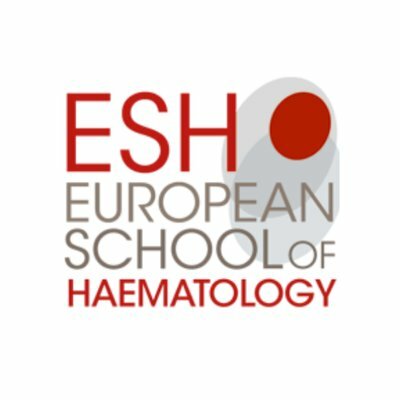 Simoens S, van Harten W, Lopes G, et al., What happens when the cost of cancer care becomes unsustainable?, European Oncology and Haematology, 2017;13:ePub. Jonsson B, Hofmarcher T, Lindgren P, et al., The cost and burden of cancer in the European Union 1995-2014, Eur J Cancer, 2016;66:162–70. Shulman LN, The effect of accountable care organizations on oncology practice, Am Soc Clin Oncol Educ Book, 2014:e468–71. Quintiles IMS, Global oncology trend report. A review of 2015 and outlook to 2020. Available at: https://www.imshealth.com/en/thought-leadership/quintilesims-institute/reports/global-oncology-trend-report-a-review-of-2015-and-outlook-to-2020 (accessed 11 August 2017). Cornes P, The economic pressures for biosimilar drug use in cancer medicine, Target Oncol, 2012;7:57–67. Shih YC, Hurria A, Preparing for an epidemic: Cancer care in an aging population, Am Soc Clin Oncol Educ Book, 2014:133–7. 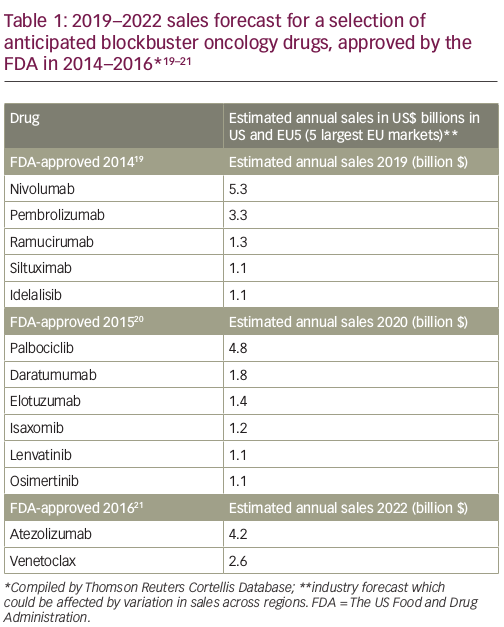 Mullard A, 2014 FDA drug approvals, Nat Rev Drug Discov, 2015;14:77–81. Mullard A, 2015 FDA drug approvals, Nat Rev Drug Discov, 2016;15:73–6. Mullard A, 2016 FDA drug approvals, Nat Rev Drug Discov, 2017;16:73–6. Dusetzina SB, Muluneh B, Khan T, et al., Obstacles to affordable cancer treatments, N C Med J, 2014;75:257–60. Experts in Chronic Myeloid Leukemia, The price of drugs for chronic myeloid leukemia (CML) is a reflection of the unsustainable prices of cancer drugs: from the perspective of a large group of CML experts, Blood, 2013;121:4439–42. Pfister DG, The Just Price of cancer drugs and the growing cost of cancer care: oncologists need to be part of the solution, J Clin Oncol, 2013;31:3487–9. Avorn J, The $2.6 billion pill? Methodologic and Policy Considerations, N Engl J Med, 2015;372:1877–9. Light DW, Warburton R, Demythologizing the high costs of pharmaceutical research, Biosocieties, 2011;6:34–50. Mazzucato M, The Entrepreneurial State. Debunking public vs private sector myths, 2013. Available from: www.looooker.com/wp-content/uploads/2015/05/The-Entrepreneurial-State-Debunking-Public-vs.-Private-Sector-Myths.pdf (accessed 11 August 2017). Mailankody S, Prasad V, Five years of cancer drug approvals. innovation, efficacy, and costs, JAMA Oncol, 2015;1:539–40. Gozzo L, Navarria A, Drago V, et al., Linking the price of cancer drug treatments to their clinical value, Clin Drug Investig, 2016;36:579–89. 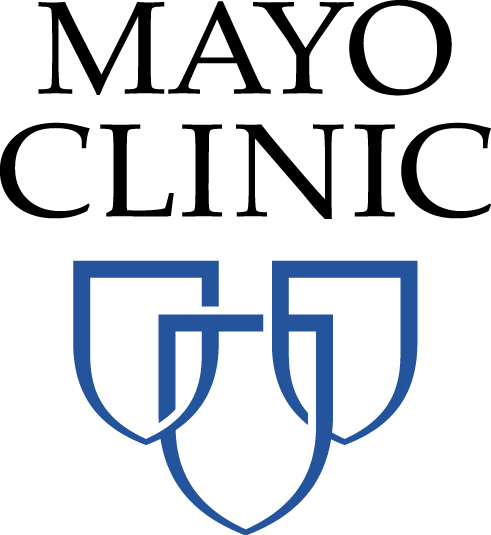 Siddiqui M, Rajkumar SV, The high cost of cancer drugs and what we can do about it, Mayo Clin Proc, 2012;87:935–43. Venkatesan S, Lamfers M, Leenstra S, et al., Overview of the patent expiry of (non-)tyrosine kinase inhibitors approved for clinical use in the EU and the US, GaBI Journal, 2017;6:89–96. Wirtz VJ, Hogerzeil H V, Gray AL, et al., Essential medicines for universal health coverage, Lancet, 2017;389:403–76. Love J, Rius J, Contribution to the United Nations Secretary-General’s high level panel on access to medicines: the need for global negotiations on agreements to fund R&D within the context of a progressive de-linking of R&D costs from product prices, 2016. Available from: www.unsgaccessmeds.org/inbox/2016/2/29/james-love (accessed 11 August 2017). Report of the United Nations Secretary General’s High-Level Panel On Access To Medicines, 2016 Available from: www.unsgaccessmeds.org/s/UNSG-HLP-Report-FINAL-12-Sept-2016.pdf (accessed 11 August 2017). 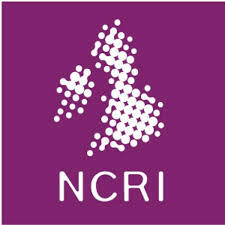 Consultative Expert Working Group on Research and Development: financing and coordination, Research and development to meet health needs in developing countries: Strengthening global financing and coordination, 2012. Available from: www.who.int/phi/CEWG_Report_5_April_2012.pdf (accessed 11 August 2017). Seventieth World Health Assembly, Cancer prevention and control in the context of an integrated approach. Draft resolution proposed by Brazil, Canada, Colombia, Costa Rica, France, Netherlands, Nigeria, Panama, Peru, Russian Federation, Thailand and Zambia, 2017. Available from: https://apps.who.int/gb/ebwha/pdf_files/WHA70/A70_ACONF9-en.pdf (accessed 11 August 2017). Giannuzzi V, Conte R, Landi A, et al., Orphan medicinal products in Europe and United States to cover needs of patients with rare diseases: an increased common effort is to be foreseen, Orphanet J Rare Dis, 2017;12:64. Kesselheim AS, Treasure CL, Joffe S, Biomarker-defined subsets of common diseases: policy and economic implications of Orphan Drug Act coverage, PLoS Med, 2017;14:e1002190. Quintiles IMS Institute, Ensuring essential medicines satisfy priority healthcare needs of populations. Evolution, current state and future needs, 2016. Available at: www.ifpma.org/wp-content/uploads/2016/11/2016-QuintilesIMS.pdf (accessed 11 August 2017). Danzon PM, Taylor E, Drug pricing and value in oncology, Oncologist, 2010;15 Suppl 1:24–31. Vogler S, Vitry A, Babar ZU, Cancer drugs in 16 European countries, Australia, and New Zealand: a cross-country price comparison study, Lancet Oncol, 2016;17:39–47. Navarria A, Drago V, Gozzo L, et al., Do the current performance-based schemes in Italy really work? “Success Fee”: a novel measure for cost-containment of drug expenditure, Value In Health, 2015;18:131–6. Carlson JJ, Sullivan SD, Garrison LP, et al., Linking payment to health outcomes: a taxonomy and examination of performance-based reimbursement schemes between healthcare payers and manufacturers, HealthPol, 2010;96:179–90. Afghahi A, Sledge GW, Jr., Targeted therapy for cancer in the genomic era, Cancer J, 2015;21:294–8. 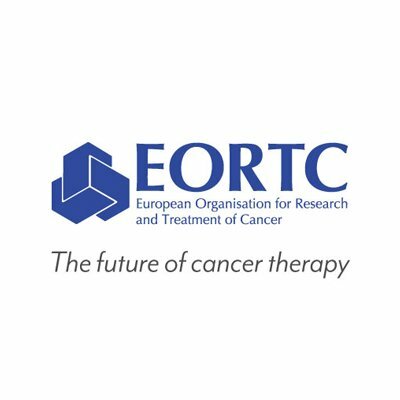 Munoz J, Kurzrock R, Targeted therapy in rare cancers – adopting the orphans, Nat Rev Clin Oncol, 2012;9:631–42. Sullivan R, Peppercorn J, Sikora K, et al., Delivering affordable cancer care in high-income countries, Lancet Oncol, 2011;12:933–80. 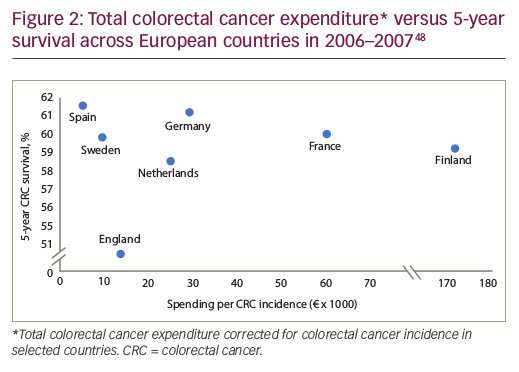 Kanavos P, Schurer W, The dynamics of colorectal cancer management in 17 countries, Eur J Health Econ, 2010;10 Suppl 1:S115–29. Sullivan R, Cancerworld, Affordable cancer care: a global mirage?, 2016. Available at: https://cancerworld.net/our-world/affordable-cancer-care-a-global-mirage/ (accessed 11 August 2017). Sleijfer S, Verweij J, Health policy: affordability of drugs used in oncology health care, Nat Rev Clin Oncol, 2016;13:331–2. New drugs, new indications in 2015: Little progress, and threats to access to quality healthcare for all, Prescrire Int, 2016;25:139–9. 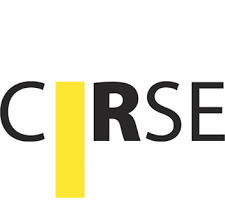 Guirgis HM, Proposal for a novel methodology to screen and score cost versus survival for anticancer drugs in metastatic disease: could cost weigh in evaluation, J Oncol Pract, 2012;8:224–30. Porter ME, What is value in health care?, N Engl J Med, 2010;363:2477–81. Goulart BH, Value: the next frontier in cancer care, Oncologist, 2016;21:651–3. 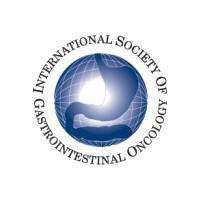 Kang R, Goodney PP, Wong SL, Importance of cost-effectiveness and value in cancer care and healthcare policy, J Surg Oncol, 2016;114:275–80. 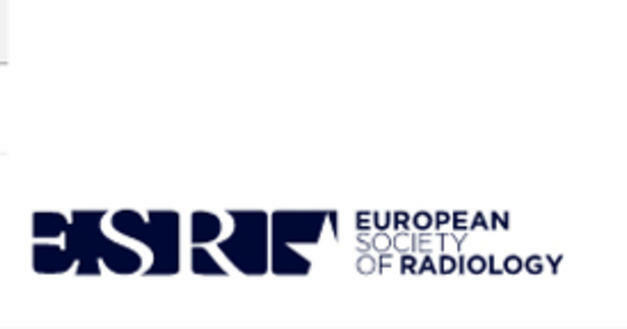 Cherny NI, Sullivan R, Dafni U, et al., A standardised, generic, validated approach to stratify the magnitude of clinical benefit that can be anticipated from anti-cancer therapies: the European Society for Medical Oncology Magnitude of Clinical Benefit Scale (ESMO-MCBS), Ann Oncol, 2015;26:1547–73. 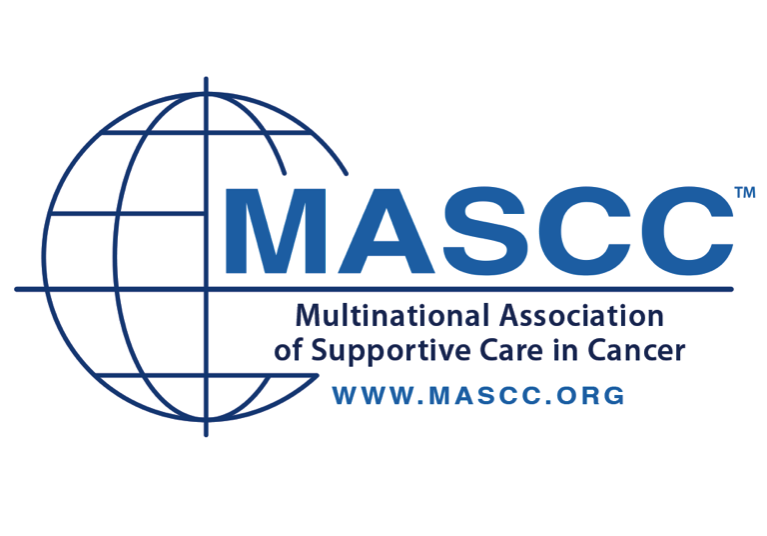 Schnipper LE, Davidson NE, Wollins DS, et al., Updating the American Society of Clinical Oncology Value Framework: Revisions and Reflections in Response to Comments Received, J Clin Oncol, 2016;34:2925–34. 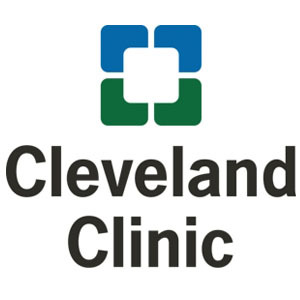 Ellis LM, Bernstein DS, Voest EE, et al., American Society of Clinical Oncology perspective: raising the bar for clinical trials by defining clinically meaningful outcomes, J Clin Oncol, 2014;32:1277–80. Saez C, New W, Stakeholders take ‘first step’ on fair pricing for medicines, 2017. Available from: https://catalyst.nejm.org/a-new-way-to-define-value-in-drug-pricing (accessed 11 August 2017). Bach PB, A new way to define value in drug pricing, 2016. Available from: https://catalyst.nejm.org/a-new-way-to-define-value-in-drug-pricing/ (accessed 11 August 2017). Nadler E, Eckert B, Neumann PJ, Do oncologists believe new cancer drugs offer good value?, Oncologist, 2006;11:90–5. World Health Organization, 19th WHO Model List of Essential Medicines – 19th List, April 2015; amended November 2015. Available at: https://www.who.int/medicines/publications/essentialmedicines/EML_2015_FINAL_amended_NOV2015.pdf?ua=1 (accessed 11 August 2017). Shulman LN, Wagner CM, Barr R, et al., Proposing essential medicines to treat cancer: methodologies, processes, and outcomes, J Clin Oncol, 2016;34:69–75.